This 1.9lb folding camp chair is a friend to anyone on the go. Packing down smaller than the Sunday Times, you can take your Helinox Chair One anywhere. Utilizing anodized DAC aluminum poles, Chair One is strong enough to support folks up to 320lbs. Its both comfortable and stylish and you and all your friends will be psyched to have it around the campfire, outdoor concert venue, or even on a backpacking trip. The ultimate camp chair has arrived. Featuring the same aluminum pole technology used by DAC in their Helinox trekking poles and tent poles, this camp chair is light, strong and comfortable. 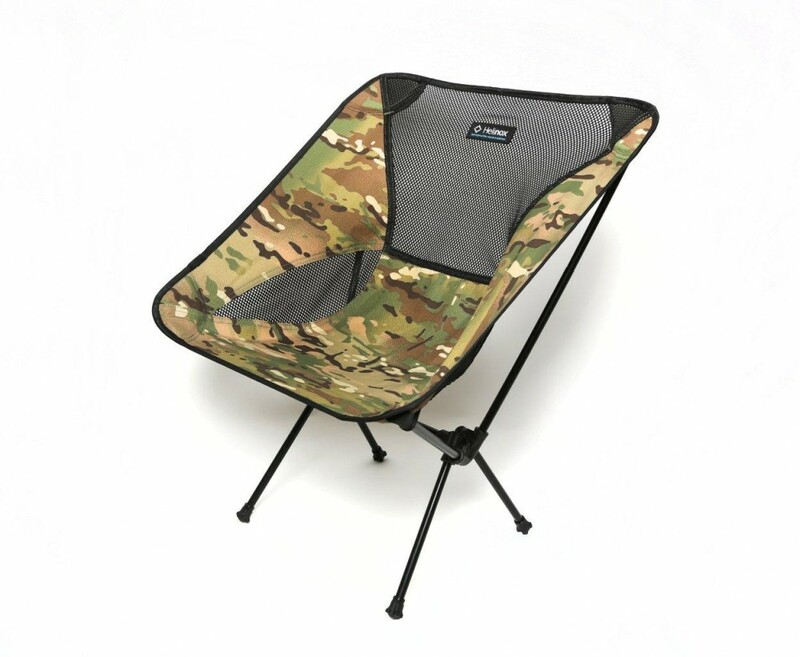 With a carrying case and breathable mesh, this chair may not ever leave your pack or gear bin. Helinox Chair One from Big Agnes on Vimeo.